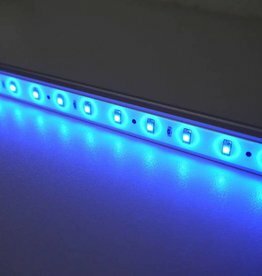 Waterproof plug&play LED Bars with 5.5mm DC Connectors. These connectors can be used to connect the LED Bars to the power supply or to each other. 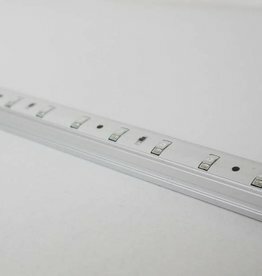 The LED Bars can be connected in series to create one long series of LED Bars. Perfect for applications where a ready-to-use product is required. 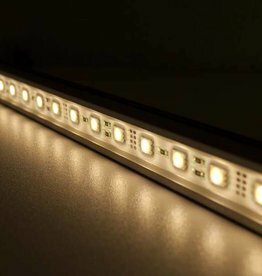 Furthermore these LED Bars are waterproof (IP65) and also suitable for outdoor use. Please note that these LED Bars work on 12 Volts. To connect them to 230 Volts, please use a 12V power supply. Please see Accessories -> Power Supplies. Super easy installation! No soldering work required. Waterproof (IP65). 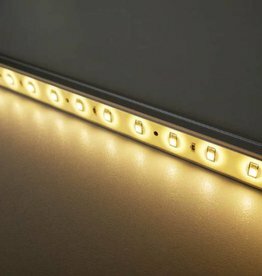 50cm LED Bar with 30x 3528 LEDs, with waterproof 5.5mm DC connector on each end. Mounting brackets are included. Power consumption: 2.4W. Voltage: 12V. Color: Cool white 10000K. Super easy installation! No soldering work required. Waterproof (IP65). 100cm LED Light Bar with 60x 3528 LEDs. Power consumption: 4.8W. Voltage: 12V. Color: Warm White 3000K. Super easy installation! No soldering work required. Waterproof (IP65). 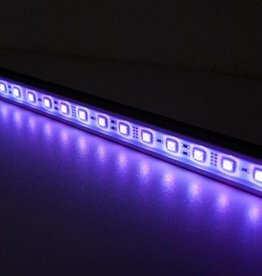 100cm LED Bar with 60x 5630 LEDs, with waterproof 5.5mm DC connector on each end. Mounting brackets are included. Power consumption: 24.0W. Voltage: 12V. Color: Warm White 3000K. Super easy installation! No soldering work required. Waterproof (IP65). 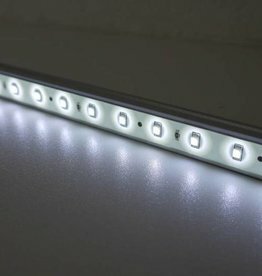 100cm LED Bar with 60x 5630 LEDs, with waterproof 5.5mm DC connector on each end. Mounting brackets are included. Power consumption: 24.0W. Voltage: 12V. Color: White 6000K. Super easy installation! No soldering work required. Waterproof (IP65). 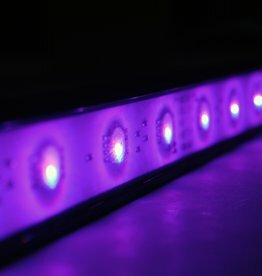 100cm LED Bar with 60x 5050 LEDs, with waterproof 5.5mm DC connector on each end. Mounting brackets are included. Power consumption: 14.4W. Voltage: 12V. Color: White 6000K. Super easy installation! No soldering work required. Waterproof (IP65). 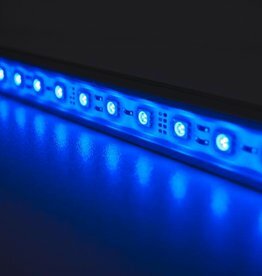 50cm LED Bar with 30x 3528 LEDs. Power consumption: 2.4W. Voltage: 12V. Color: Warm White 3000K. Super easy installation! No soldering work required. Waterproof (IP65). 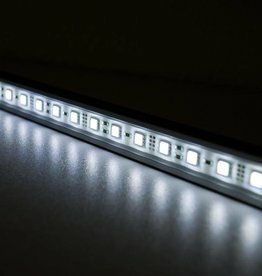 100cm LED Bar with 60x 3528 LEDs, with waterproof 5.5mm DC connector on each end. Mounting brackets are included. Power consumption: 4.8W. Voltage: 12V. Color: White 6000K. Super easy installation! No soldering work required. Waterproof (IP65). 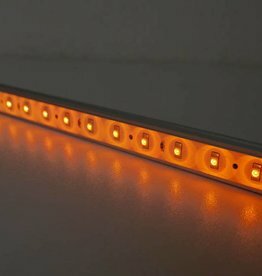 50cm LED Bar with 30x 3528 LEDs, with waterproof 5.5mm DC connector on each end. Mounting brackets are included. Power consumption: 2.4W. Voltage: 12V. Color: White 6000K. Super easy installation! No soldering work required. Waterproof (IP65). 100cm LED Bar with 60x 5050 LEDs. Power consumption: 14.4W. Voltage: 12V. Color: Warm White 3000K. Super easy installation! No soldering work required. Waterproof (IP65). 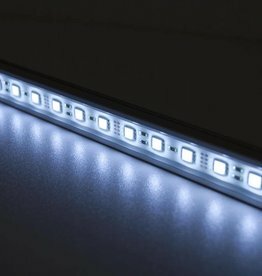 50cm LED Bar with 30x 5050 LEDs, with waterproof 5.5mm DC connector on each end. Mounting brackets are included. Power consumption: 7.2W. Voltage: 12V. Color: Warm white 3000K. Super easy installation! No soldering work required. Waterproof (IP65). 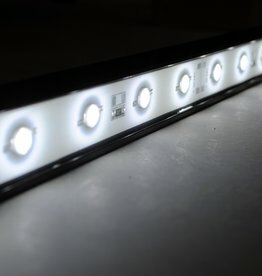 50cm LED Bar with 30x 5050 LEDs, with waterproof 5.5mm DC connector on each end. Mounting brackets are included. Power consumption: 7.2W. Voltage: 12V. Color: Pure White 6000K. 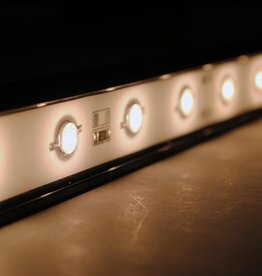 LEDBAR PRO is our line of professional quality IP68 Waterproof LED Bars rith 5 year warranty. 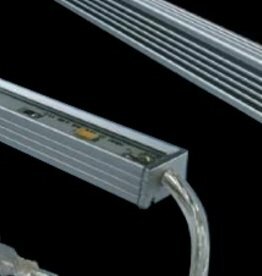 These rugged LED Bars are suitable for very demanding applications such as public lighting, garden lighting, or underwater lighting. Super easy installation! No soldering work required. Waterproof (IP65). 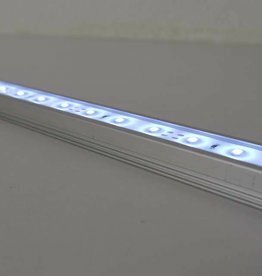 50cm LED Bar with 30x 3528 LEDs. Power consumption: 2.4W. Voltage: 12V. Color: Green.